Here is the second post of the series: 10 Lesser Known Natural Wonders (II). Benagil is a small Portuguese village on the Atlantic Ocean in Lagoa Municipality and the Freguesia of Carvoeiro (Lagoa). Until the late 20th century, the village’s economy was based on ocean fishing. 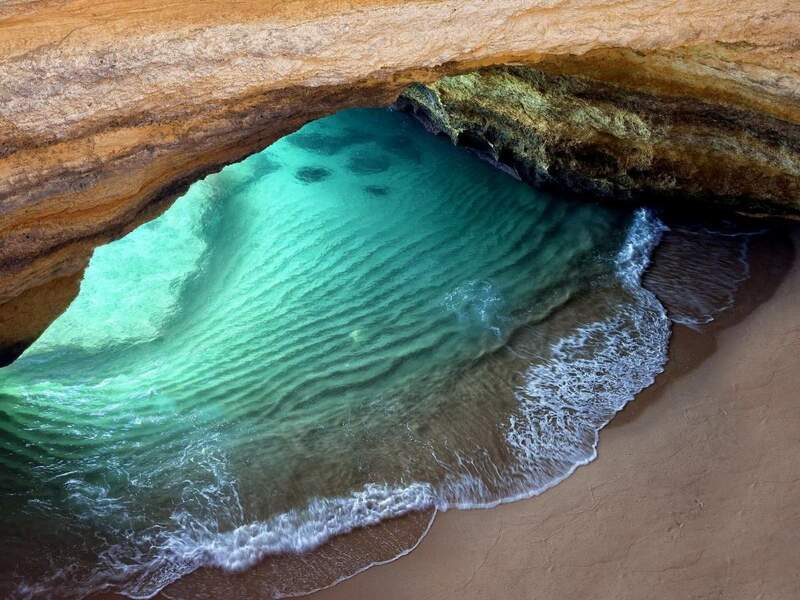 Now it is a tourist area with a widely used beach, Praia de Benagil. 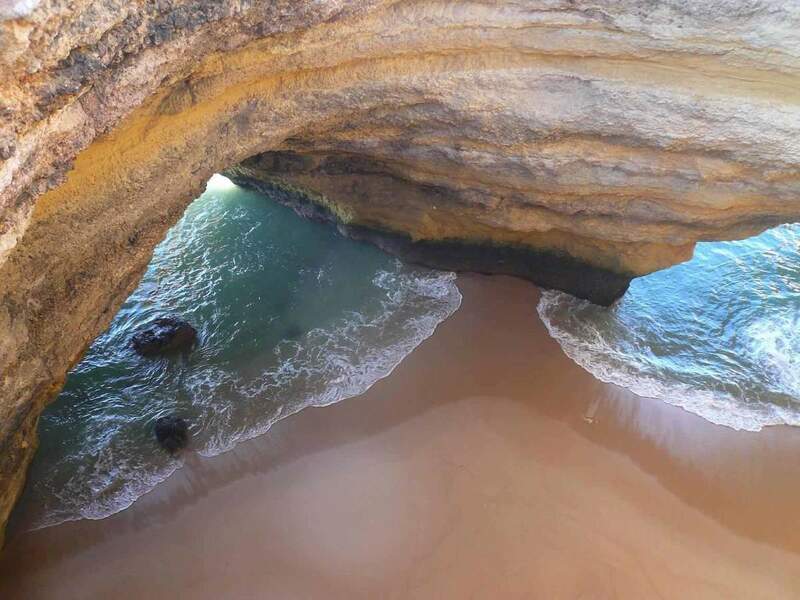 Benagil’s cave is actually one of many caves along Lagoa coastline but certainly the most stunning attracting hundreds of visitors each summer. 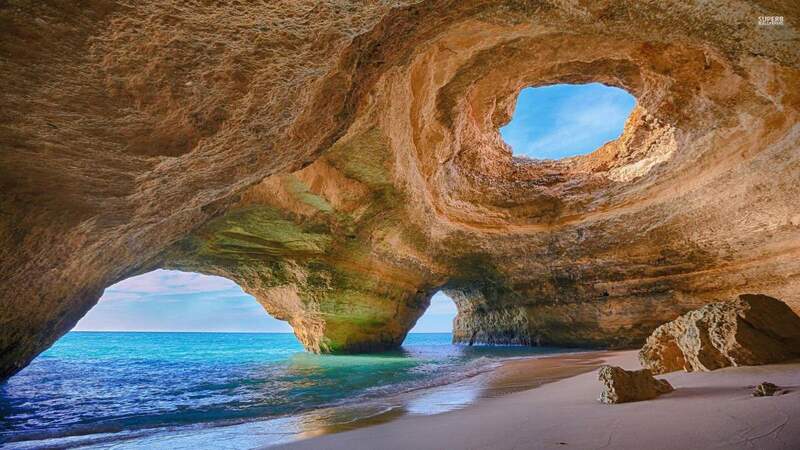 A number of boat trips to visit the caves are offered by local companies based at Benagil beach. 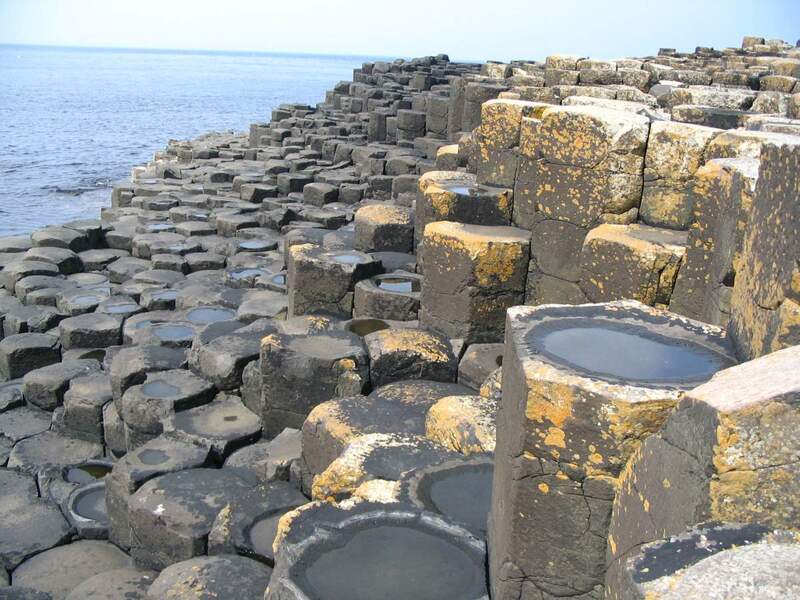 It is an area of about 40,000 interlocking basalt columns that interlock to form what looks like a walkway fit for a colossus, the result of an ancient volcanic eruption. The Giant’s Causeway located in County Antrim on the northeast coast of Northern Ireland, about three miles (4.8 km) northeast of the town of Bushmills. It was declared a World Heritage Site by UNESCO in 1986. The stones, mostly hexagonal in shape (although there are also some with four, five, seven or eight sides), formed 60 million years ago when underground lava flows cooled into formations as tall as 39 feet (11.9 meters) high and 18 inches (45.7 cm) in diameter. It was comparatively recently (about 15,000 years ago) that the soil around the seaside stones eroded and they became visible above ground. According to legend, the columns are the remains of a causeway built by a giant. The story goes that the Irish giant Fionn mac Cumhaill (Finn MacCool), from the Fenian Cycle of Gaelic mythology, was challenged to a fight by the Scottish giant Benandonner. Fionn accepted the challenge and built the causeway across the North Channel so that the two giants could meet. In one version of the story, Fionn defeats Benandonner. In another, Fionn hides from Benandonner when he realizes that his foe is much bigger than he. Fionn’s wife, Oonagh, disguises Fionn as a baby and tucks him in a cradle. When Benandonner sees the size of the ‘baby’, he reckons that its father, Fionn, must be a giant among giants. He flees back to Scotland in fright, destroying the causeway behind him so that Fionn could not follow. Across the sea, there are identical basalt columns (a part of the same ancient lava flow) at Fingal’s Cave on the Scottish isle of Staffa, and it is possible that the story was influenced by this. The discovery of the Giant’s Causeway was announced to the wider world in 1693 by the presentation of a paper to the Royal Society from Sir Richard Bulkeley. The site first became popular with tourists during the nineteenth century, particularly after the opening of the Giant’s Causeway Tramway, and only after the National Trust took over its care in the 1960s were some of the vestiges of commercialism removed. Visitors can walk over the basalt columns which are at the edge of the sea, a half-mile walk from the entrance to the site. 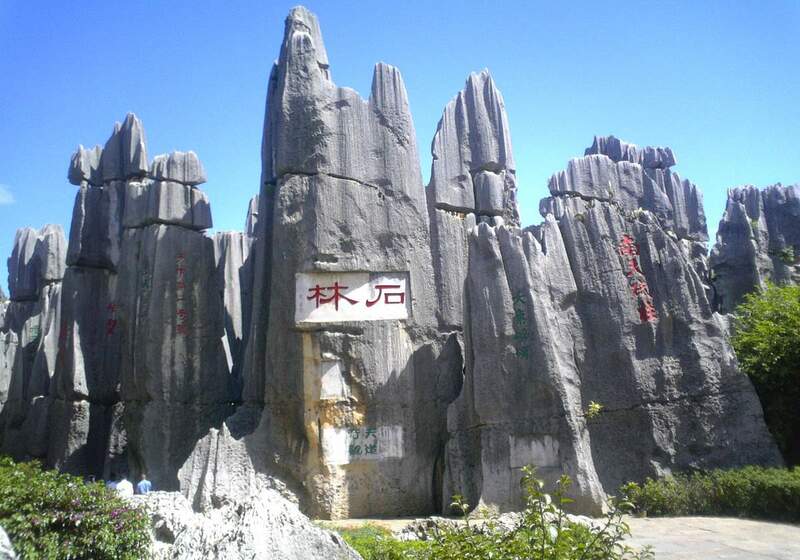 The Stone Forest or Shilin is a notable set of limestone formations located in Shilin Yi Autonomous County, Yunnan Province, People’s Republic of China, approximately 120 km (75 mi) from the provincial capital Kunming. Around 270 million years ago, the area, which spans nearly 200 square miles (500 km2 ), was underwater, and the sea floor was covered with limestone sediment. Gradually, the seabed rose and the water dried up. As rain and wind eroded the weaker rock, the stronger limestone spires began to take shape. Now they rise skyward, surrounded by leafy trees. Colca Canyon, Peru. With a depth of 13,650 ft (4,160 m), it is more than twice as deep as the Grand Canyon in the United States! Colca Canyon is a canyon of the Colca River in southern Peru, located about 100 miles (160 kilometers) northwest of Arequipa. With a depth of 13,650 ft (4,160 m), it is more than twice as deep as the Grand Canyon in the United States! The canyon still retains inhabitants who maintain their pre-Inca stepped terraces, for the cultivation of food. There are many archaeological sites include the caves of Mollepunko above Callalli where rock art (said to be 6,000 years old) depicts the domestication of the alpaca; the mummy of Paraqra, above Sibayo; the Fortaleza de Chimpa, a reconstructed mountaintop citadel that looks down on Madrigal; ruins of pre-Hispanic settlements throughout the valley; and many others. The canyon is home to the Andean Condor (Vultur gryphus), a species that has been the focus of worldwide conservation efforts. The condors can be seen at close range as they fly past the canyon walls, and are a popular attraction. ‘Cruz del Condor’ is a popular tourist stop to view the condors. At this point, the canyon floor is 3,960 feet (1,200 m) below the rim of the canyon. Other notable bird species present in the Colca include the Giant Colibri, the largest member of the hummingbird family, as well as the Andean Goose, Chilean Flamingo, and Mountain Caracara. Animals include vizcacha, a rabbit-sized relative of the chinchilla, zorrino, deer, fox, and vicuña, the wild ancestor of the alpaca. There are also natural hot springs in the canyon. Puerto Princesa, officially the City of Puerto Princesa is a city located in the western provincial island of Palawan, Philippines. The Puerto Princesa Subterranean River about 80 km (50 mi) north of the city center. The river also gives its name the National Park which surrounds it. This 8.2 kilometer-long (5.1 miles) subterranean river flows through a spooky cave of stalactites and stalagmites, bats and spiders, before spilling into the South China Sea. It also supports the Palawan Moist Forest, considered to have the most diverse tree flora in Asia. In 2010, a group of environmentalists and geologists discovered that the underground river has a second floor, which means that there are small waterfalls inside the cave. They also found a cave dome measuring 300 m (980 ft) above the underground river, rock formations, large bats, a deep water hole in the river, more river channels, another deep cave, as well as marine creatures and more. 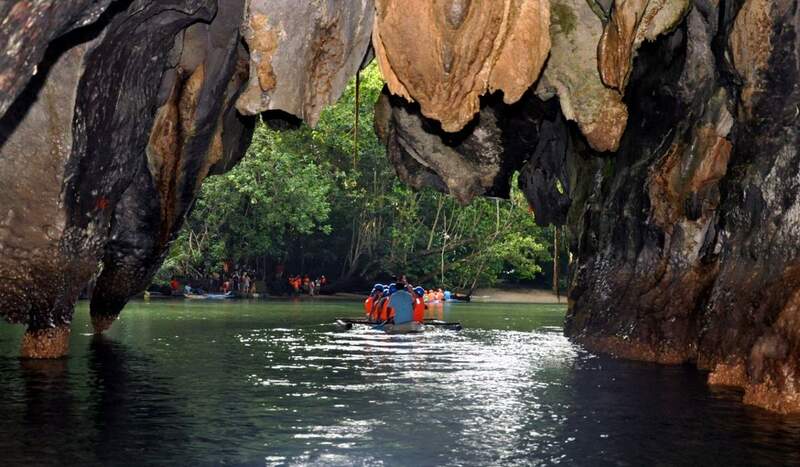 On November 11, 2011, Puerto Princesa Underground River was provisionally chosen as one of the New 7 Wonders of Nature. This selection was officially confirmed on January 28, 2012. 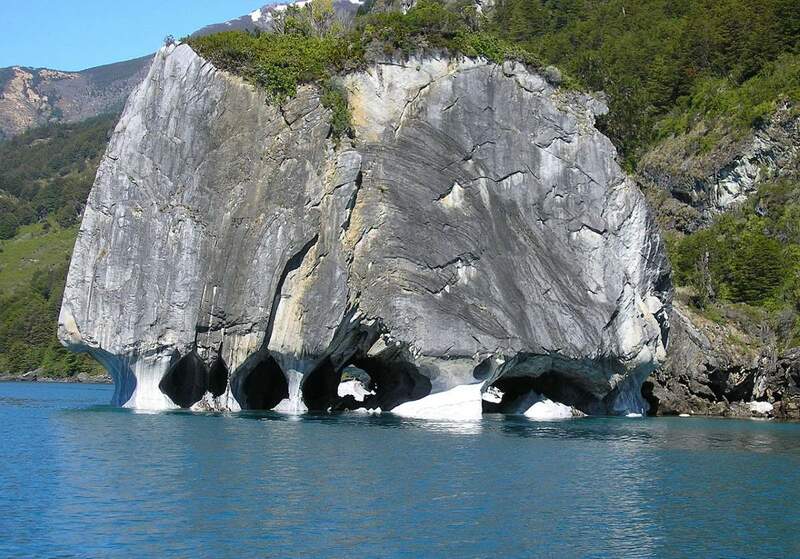 Marble Caves are unusual geological formations, also known as “Marble Chapel” and “Marble Cathedral” located at the center of the General Carrera Lake and representing a group of caverns, columns, and tunnels formed in monoliths of marble. 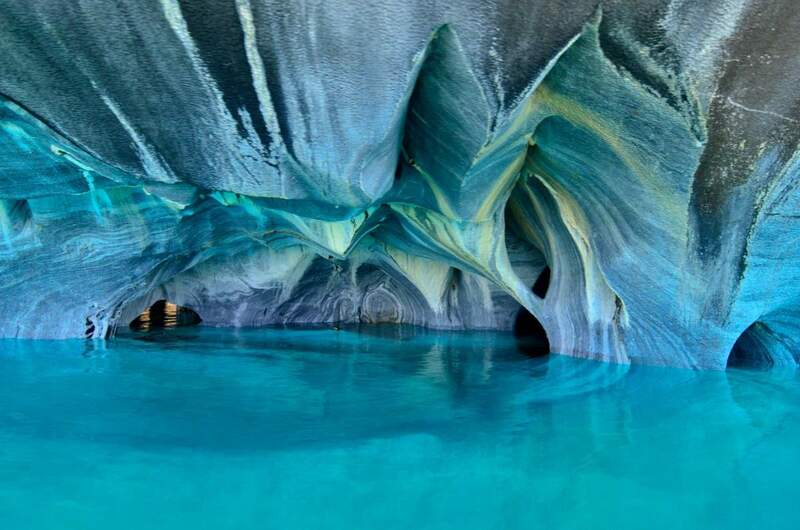 Marble Caves have been formed by wave action over the last 6,200 years. 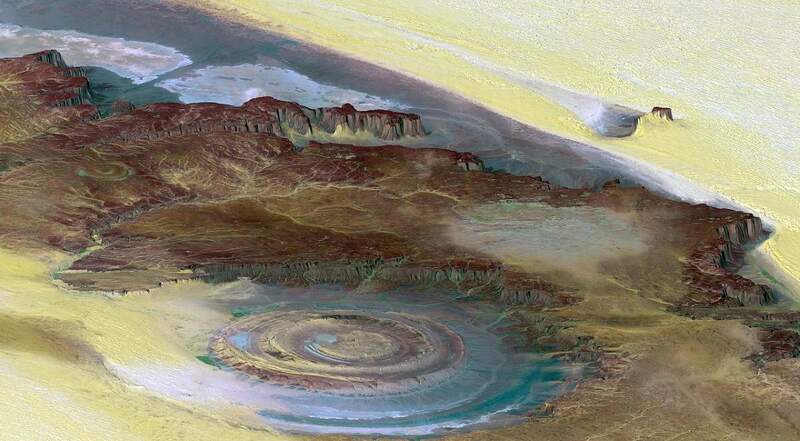 The Richat Structure, also known as the Eye of the Sahara and Guelb er Richat, is a prominent circular feature in the Sahara desert near Ouadane, west-central Mauritania. This structure is a deeply eroded, slightly elliptical, 40 km in diameter dome. Visible from space, it has been a landmark for astronauts since the earliest missions. It was initially interpreted as an asteroid impact structure because of its high degree of circularity. But today, it is argued to be a highly symmetrical and deeply eroded geologic dome. 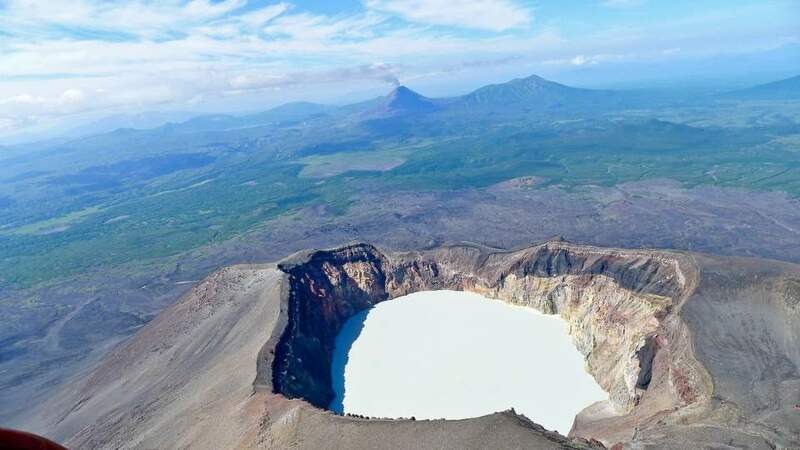 Maly Semyachik is a stratovolcano located in the eastern part of Kamchatka Peninsula, Russia. It is a compound stratovolcano located in a 10-km-wide caldera within the 15×20 km mid-Pleistocene Stena-Soboliny caldera. Three overlapping stratovolcanoes were constructed sequentially along a Northeast-Southwest line, with the youngest cone, Tseno-Semyachik, at the southwest end. A brilliant green-blue (mostly) crater lake fills the historically active Troitsky Crater, which formed during a large explosive eruption of Ceno-Semiachik about 400 years ago. The lake periodically changes color. In 2006 it was bright turquoise. There’s also a photo from 2012, the lake was bright gray. Minerals are believed to be responsible for the color of this hot, acidic lake. There are local hiking tours to this beautiful lake. 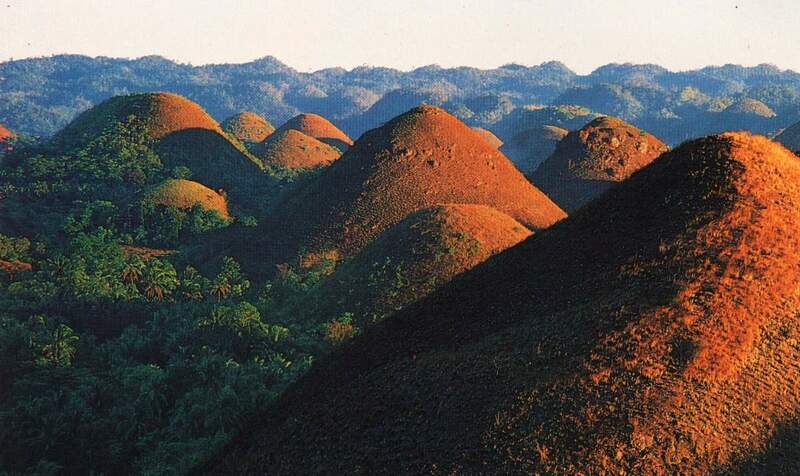 The Chocolate Hills are a geological formation in Bohol Province, Philippines. There are at least 1,260 hills but there may be as many as 1,776 hills spread over an area of more than 50 square kilometers (20 sq mi). They are covered in green grass that turns brown (like chocolate) during the dry season, hence the name. 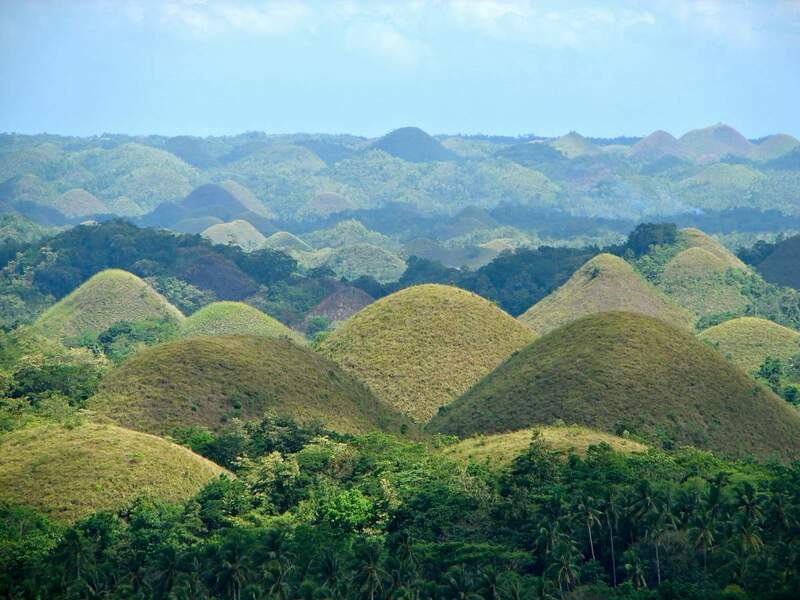 They have been declared the country’s third National Geological Monument and proposed for inclusion in the UNESCO World Heritage List. Pamukkale, literally meaning “cotton castle” in Turkish, is a natural site in Denizli Province in southwestern Turkey. 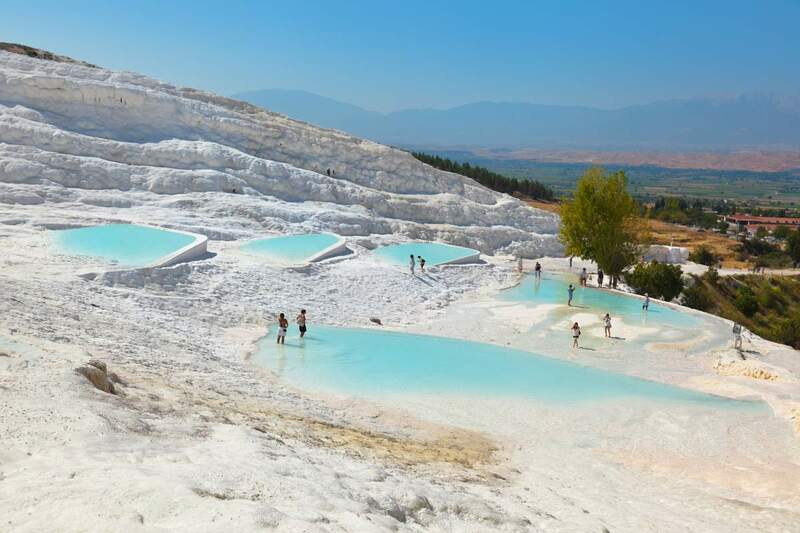 Located in Turkey’s Inner Aegean region, in the River Menderes valley, which has a temperate climate for most of the year, Pamukkale contains hot springs and travertines, terraces of carbonate minerals left by the flowing water. The water that flows from 17 subterranean hot springs into the pools has an extremely high concentration of calcium carbonate, which forms soft deposits when it hits the surface. 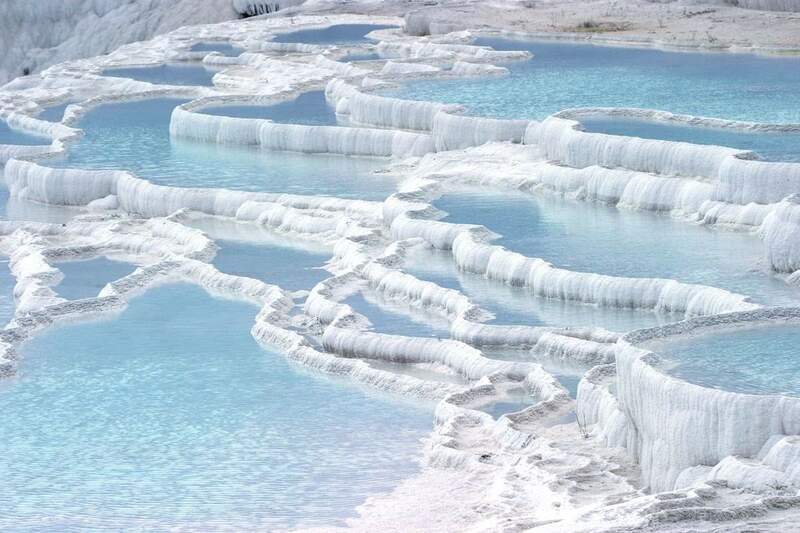 Those viscous white deposits harden over time until the springs resemble a fountain made of chalk or, as indicated by the translation of Pamukkale, a “cotton castle” visible from more than 20 kilometers (12.5 miles) away. The ancient Greco-Roman and Byzantine city of Hierapolis was built on top of the white “castle” which is in total about 2,700 meters (8,860 ft) long, 600 m (1,970 ft) wide and 160 m (525 ft) high. Pamukkale is a UNESCO World Heritage Site. Here is the 2nd post of the series: 10 Lesser Known Natural Wonders (II).